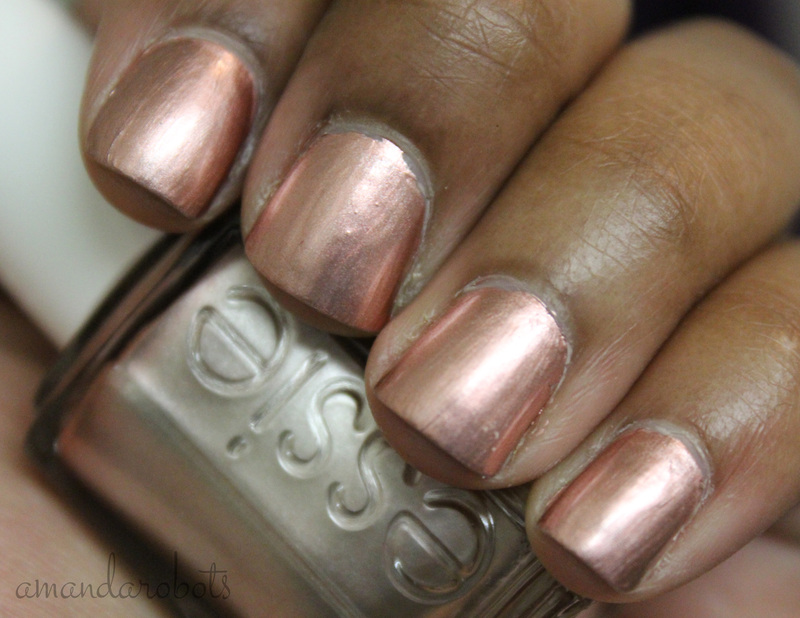 Review: Essie ‘Penny Talk’ – amandarobots. I took it home and painted my nails right away…and was disappointed on several fronts. To start, the application is fiddley, I suppose because it’s a metallic shade. As you can see above, it’s all streaky, shows every brushstroke as well as every bump and ridge on my nails. Cute. Aside from the horrible application, the colour is super disappointing too. That does not look like rose gold to me. That looks like metallic pink. I prefer my rose gold to actually have some gold to it, maybe just because that’s what’s flattering on my skintone. « Book Recommendations and Non-Recommendations!